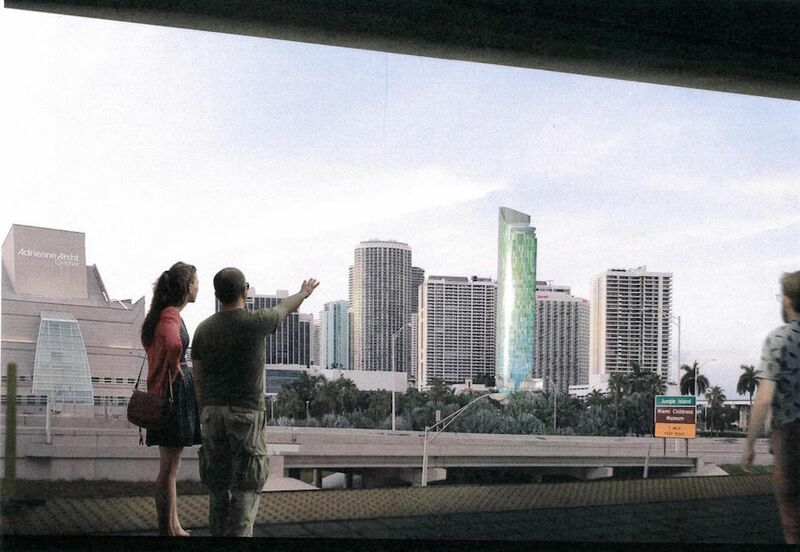 Miami is set to get a new set of gleaming mixed-use towers after the city’s Urban Development Review Board approved two plans last week. 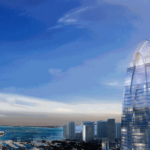 Behar Font & Partners designed the 73-story Sterling, a 956-foot cloudbuster crowned with arcing glass and steel like an upended ship’s prow. 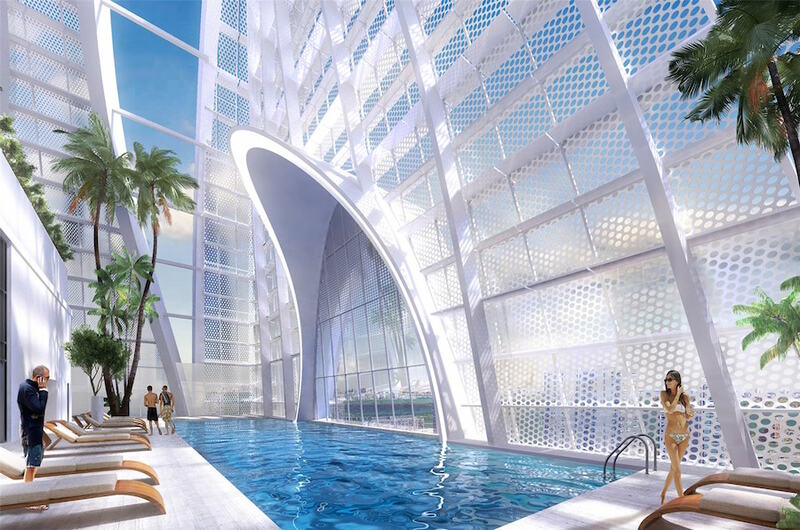 Contained in the glass arch on top is a private floor with amenities for residents only, including a palm tree-fringed pool overlooking the city that resembles a futuristic cruise vessel. 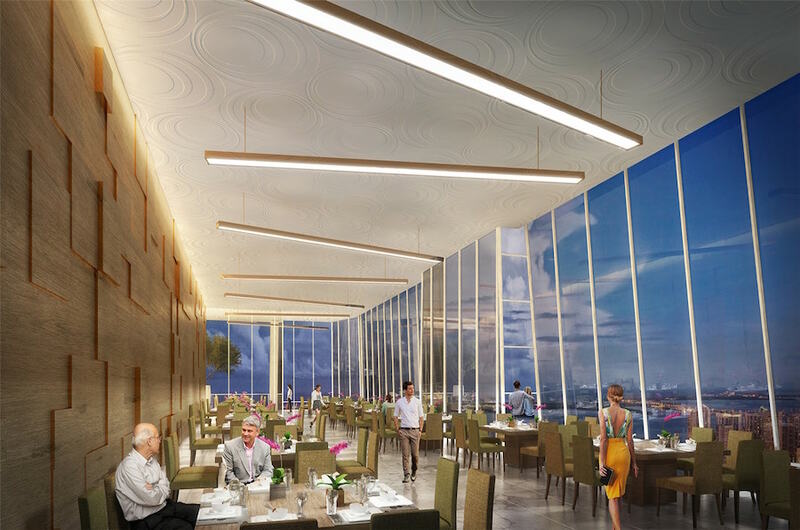 The structure will house 362 new apartments for rent, 300 hotel rooms, as well as extensive office and retail space and a restaurant on the 68th floor. 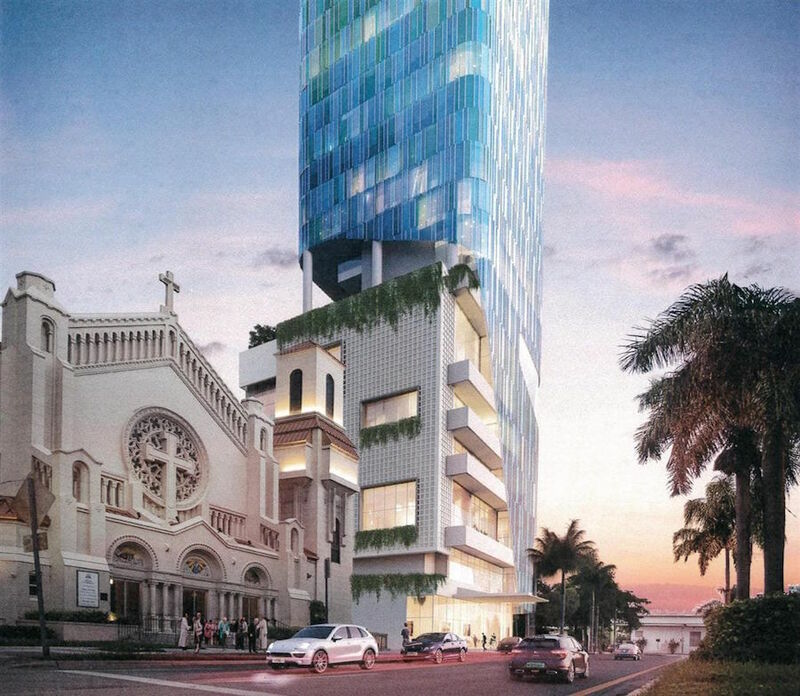 The project is located on the corner of North Miami Avenue and 6th Street. 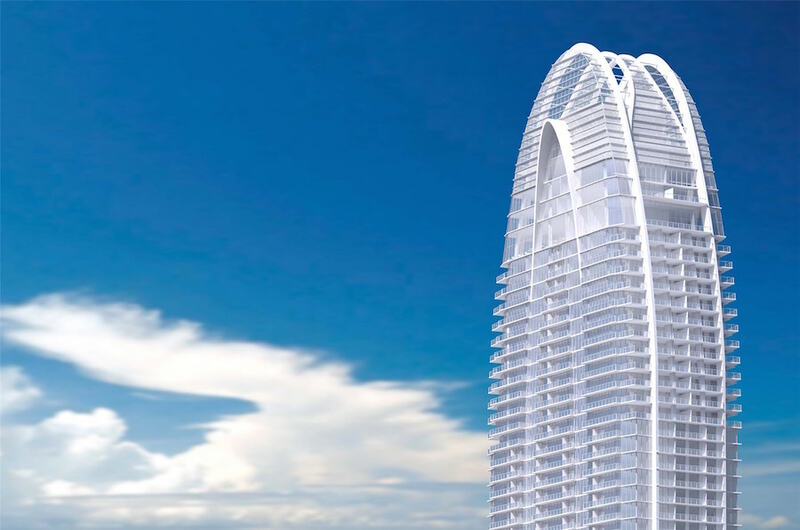 The developer behind the project, Turkey-based Okan Group, asked that the building’s shape be informed by their country’s national flower, the tulip. 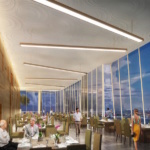 Behar Font delivered: from the side, the building’s peak splits into three discrete petal-like forms connected by beams, everything painted dental white. 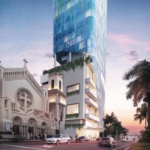 Okan Group bought the property this past spring from a church at a price tag of $18.1 million dollars. 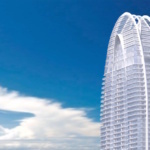 At the meeting where the plan was approved, the Turkish consul general in Miami attended alongside the developers. 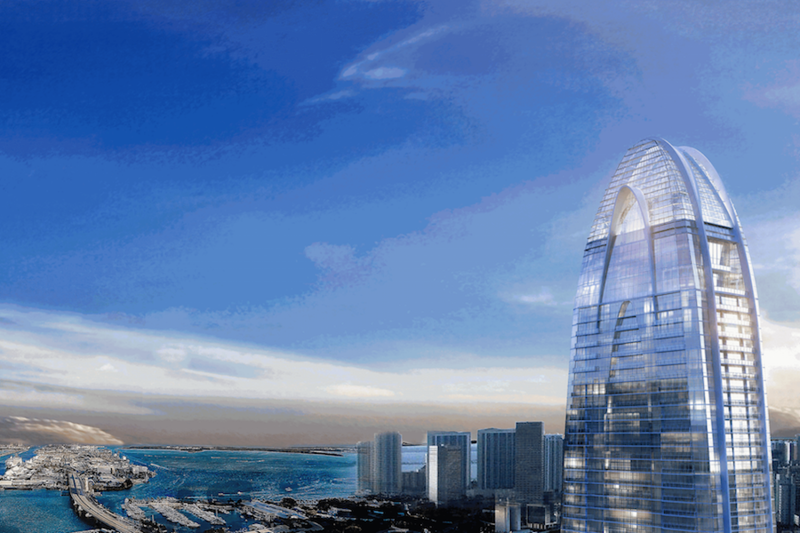 It also marks Okan Group’s first project in Florida. 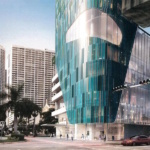 Allan Shulman designed the other (yet to be named) development, a 43-floor hotel with a curving facade of blue and green paneled glass, tapering at the top. At its base, the facade cuts away to reveal a white gridded rectangular structure with greenery hanging from its many balconies. 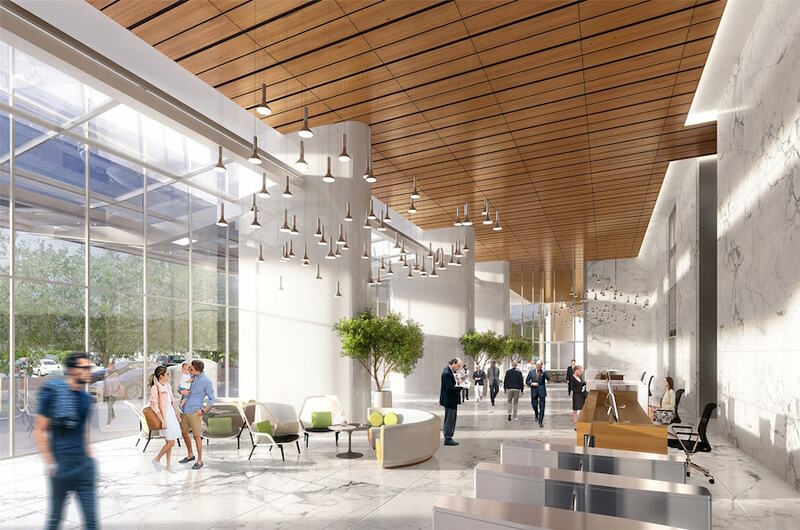 The building will house office and retail space, with 270 hotel rooms to boot. 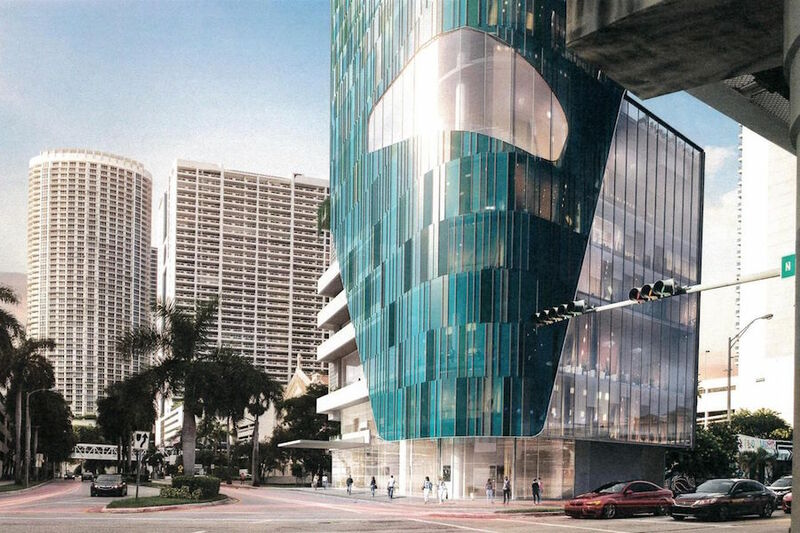 Mandala Holdings is the local developer behind the project, and intend to build it near the Resorts World Miami site in the Arts and Entertainment District of downtown.